Are Brad Pitt and Charlize Theron Dating or Not? 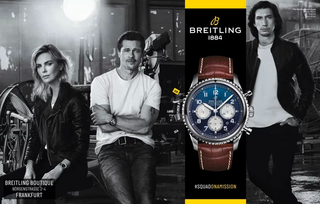 Okay team, here’s what we know: Brad Pitt and Charlize Theron met around six months ago while shooting a commercial for Breitling. Adam Driver was there, too. So were some watches. Are they dating or not? Where does Adam Driver fit into this? How are the watches?